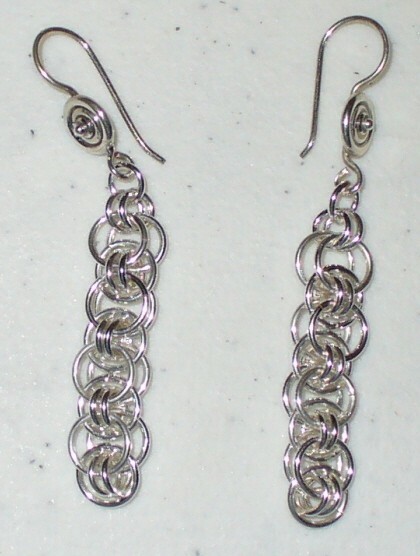 The Celtic Line Earrings reminds you of things that are Irish. They have a clean line that flows well beside the face. You can make them in a single ring color, or you can make them in two tone. You will truly enjoy wearing these earrings. This is a beginner weave. Sterling silver plated or gold plated leverback earring findings are included in the kit.